For a long time I found myself disappointed with the quality of apricots I found at the greenmarkets. 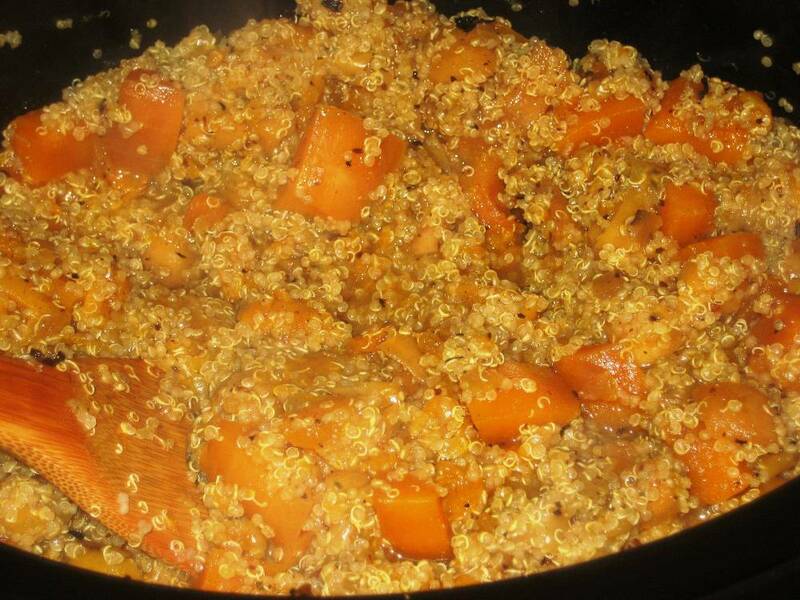 I remember desserts of bright orange with vibrant flavor and sweetness. Yet with every (pretty expensive) apricot I bite into, I feel underwhelmed. It was only after I did some research online that I learned those bland apricots I tasted are perfectly right. 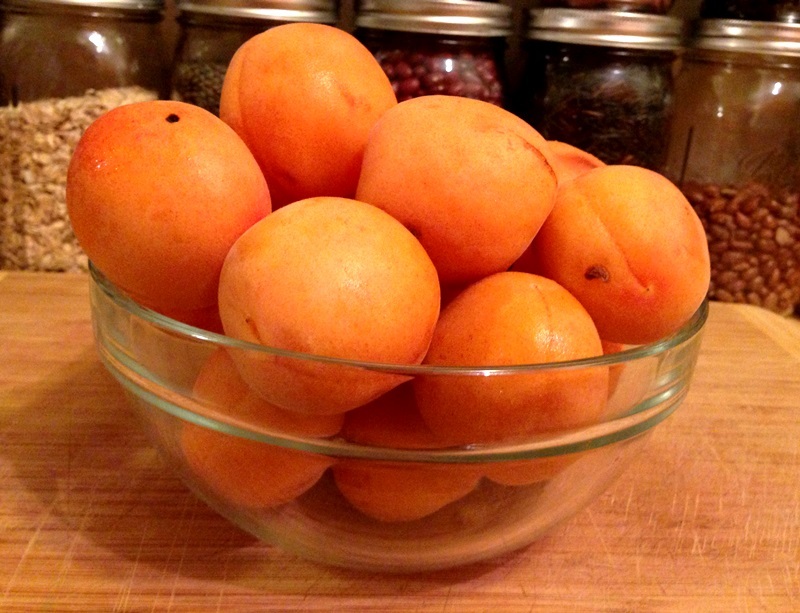 Apricots are amazing in the way that they are the only fruit that truly comes alive after being cooked. You’ll never get the same satisfaction from a raw apricot as you would a juicy peach but cook them up in a bread pudding or even can them and you’ll be well rewarded for your efforts. 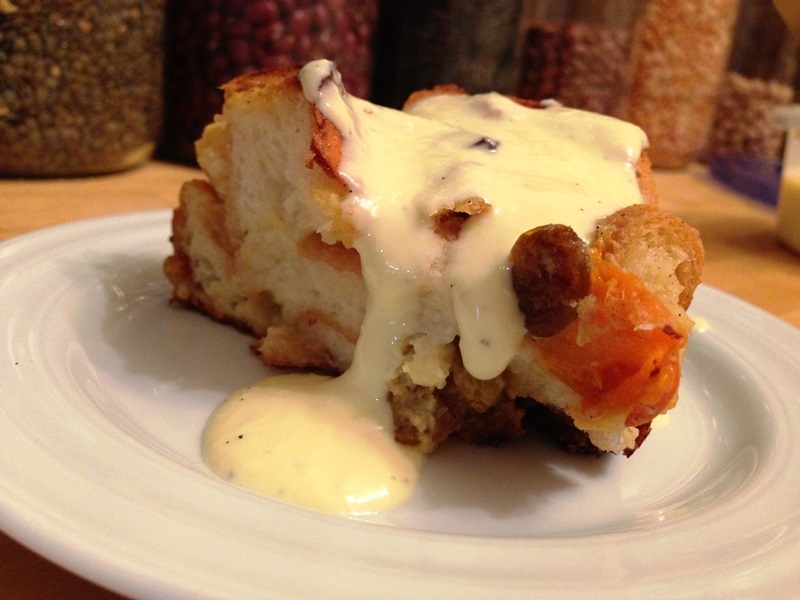 Bread pudding has always been a favorite of mine. Petit Oven makes the most amazing bread pudding I’ve ever tasted. Warm and spongy, swimming in a pool of salted caramel sauce. I sometimes joke, just give me a bowl of caramel! Their dessert menu is small, usually the bread pudding and one other item, though with to items of near perfection, what else would you want. I always consider bread pudding as an option to bring to family meals, but it’s not really an option. On one side, I have bread pudding haters (I know, I don’t really understand either), and on the other side I have gluten-free eaters. Considering I’ve never made one regular bread pudding, I was not about to start with a gluten-free version. And considering a recipe requires a full loaf of Italian bread, it’s not something my husband and I alone could should eat. So it’s true. I’ve never had the opportunity to make a bread pudding. Until a few weekends ago.